If you order until the 04/25/2019 14:00 we ship your package probable today. 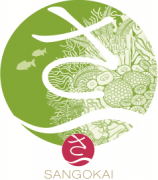 Jump to main category "WYSIWYG Corals "
Jump to main category "Fish"
Jump to main category "Invertebrates"
Jump to main category "Dry Goods "
Jump to main category "Brands"
Jump to main category "Coral-ID"
Available at permanent low price! Silicate occurs especially in tap water or in purified water when the RO or DI unit is not functioning properly. Silicate not only results in diatom bloom but might also block some essential trace elements such as vanadium and molybdenum. When an aquarium has insufficient regions deprived of oxygen (= anaerobic zones) or denitrification proceeds incompletely then nitrate will build-up. A too high nitrate concentration can result in unwanted algae-growth and these might irritate corals in their neighborhood. 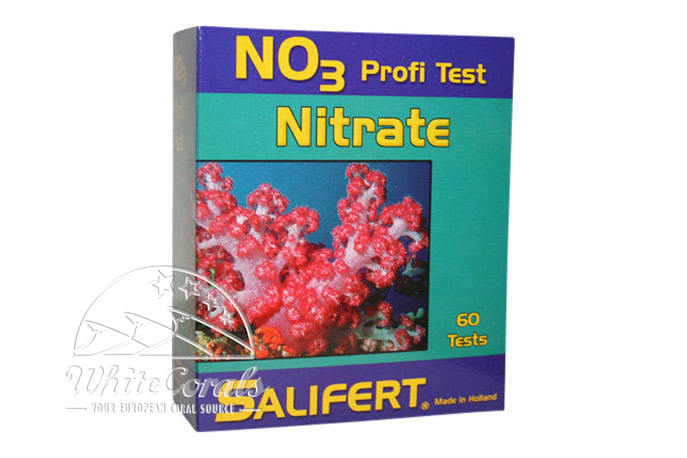 Nitrate as such also retards coral growth. 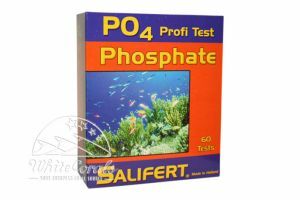 The nitrate concentration in a proper functioning reef aquarium should preferably be lower than 1 mg/L. Fish-only aquariums would usually show much higher nitrate concentrations. 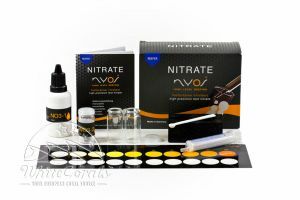 Most test kits use a procedure in which a certain part of nitrate is converted chemically into nitrite and is measured as such. Once again, just as with nitrite testing, amine interference has a major impact on the measured value. If such an interference occurs concentrations much lower than actual will be measured. Many nitrate test kits are prone to amine interference. This can give results much lower than actual. 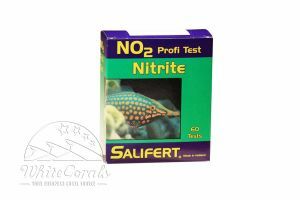 The Salifert nitrate test does not suffer from such an amine interference. The very special ingredients allow a very fast and precise measurement. The range spans from very low to a very high nitrate concentration (approx. 0.05 – 20 mg/L as Nitrate-Nitrogen or 0.2 – 100 mg/L as nitrate ion). The kit can perform approx. 60 measurements.